Take a close-up look at MassArt's annual fashion exhibit and you'll fine mirrors, fake hair, CDs, and more unconventional materials. By Margaret Burdge·	 9/13/2013, 5:14 p.m. 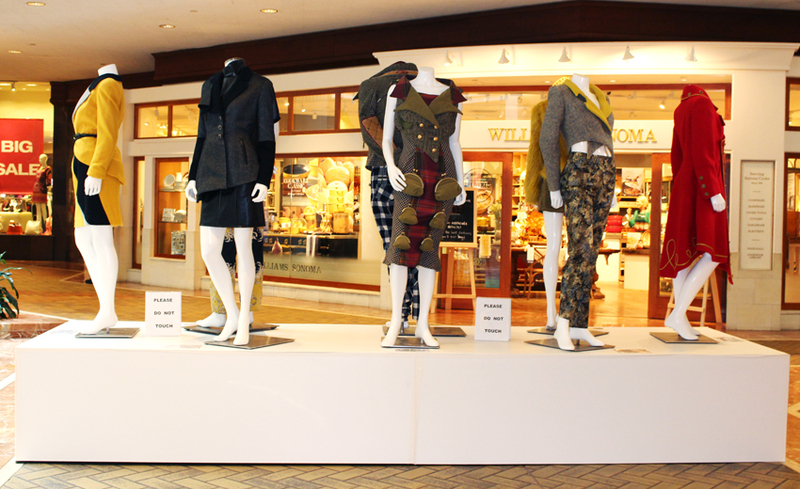 Starting today and continuing through October 1, as you window-shop in Copley Place Mall, some unexpected items may catch your eye. Between the storefronts lined with fall sweaters and the newest Coach totes, film strips dangle about the legs of a mannequin and faux hair is braided intricately into a fitted bodice. 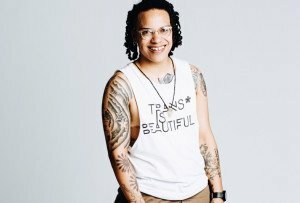 These unconventional dresses are more than fashion; they are a part of MassArt’s Wearable Art exhibit. 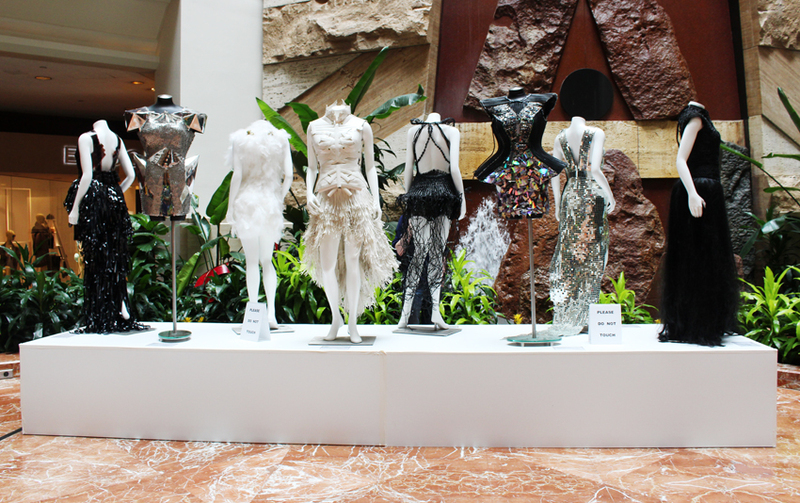 Featuring eight student works made of everything from angelic feathers to less-than-ordinary twist ties, these garments blur the line between art and fashion. With a little bit of hoarding and a lot of hard work (Titova estimates that she spent at least five days straight working on the project), the artists at MassArt participated in their own pseudo-Project Runway challenge, resulting in pieces that look like gorgeous garments at first glance, but upon further inspection reveal intricate and unusual techniques. 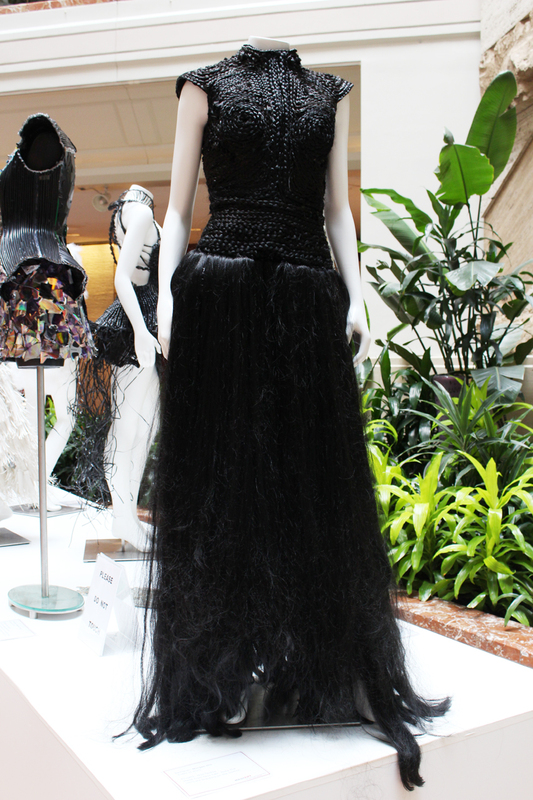 Christian Restrepo’s piece made of feathers and painted potpourri wowed at the fashion show when it was modeled by a man. 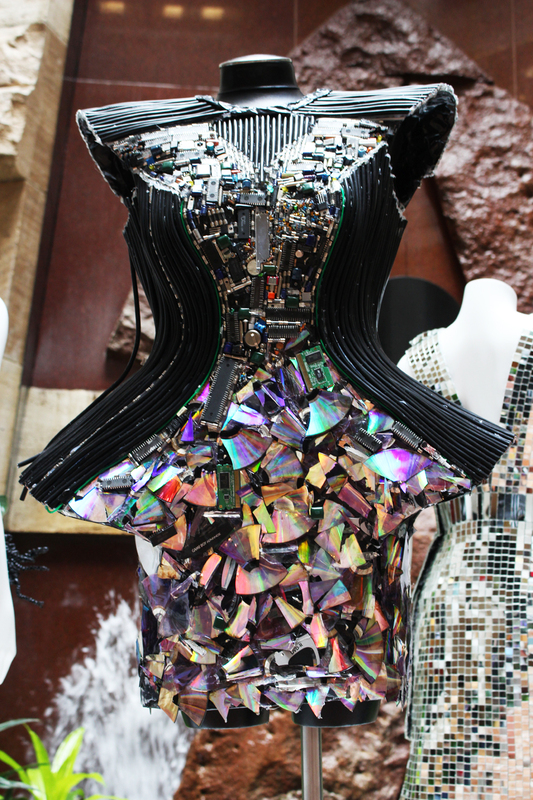 Made of childhood film strips and VHS rolls, Alyssa Fishenden’s dress has a nostalgic and youthful quality. Inspired by Norse legends of Valhalla, Gloria Im’s “winged goddess” is fashioned out of window blinds. Kimberly Nowers used more than 9,000 mirrored tiles on a window screening base to create this elegant evening gown. A slightly eerie, yet simultaneously stunning creation, Morgan Hill’s piece is made entirely from faux hair. The intricately braided bodice offers a high-fashion feel, while the skirt visually references the material it is made of. 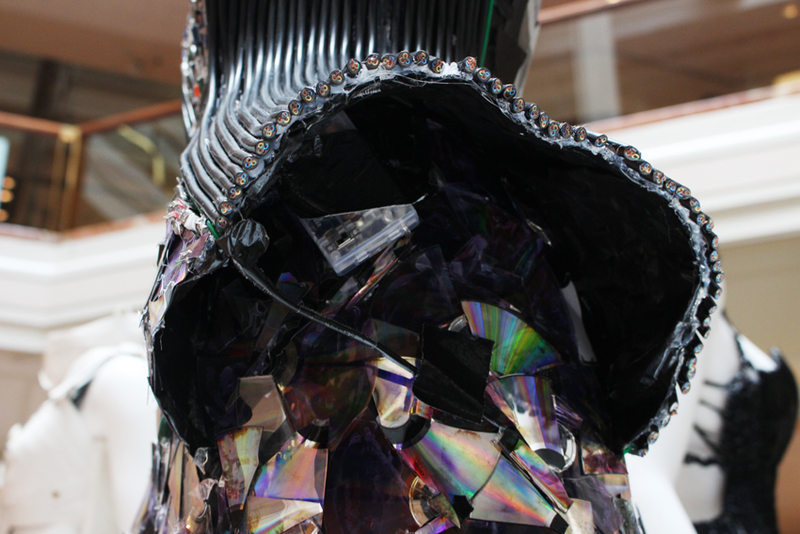 The shoulder and hip pieces on Sarah Buxton’s garment are composed of mirror and chip board, while candlewick tabs arranged meticulously make up the rest of the piece. 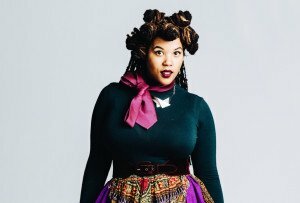 This dress brings a whole new meaning to twist-tying your vegetable bags at the grocery store. Through weaving, braiding, and lacing, Sierra Chew-Chin created this masterpiece out of twist ties. 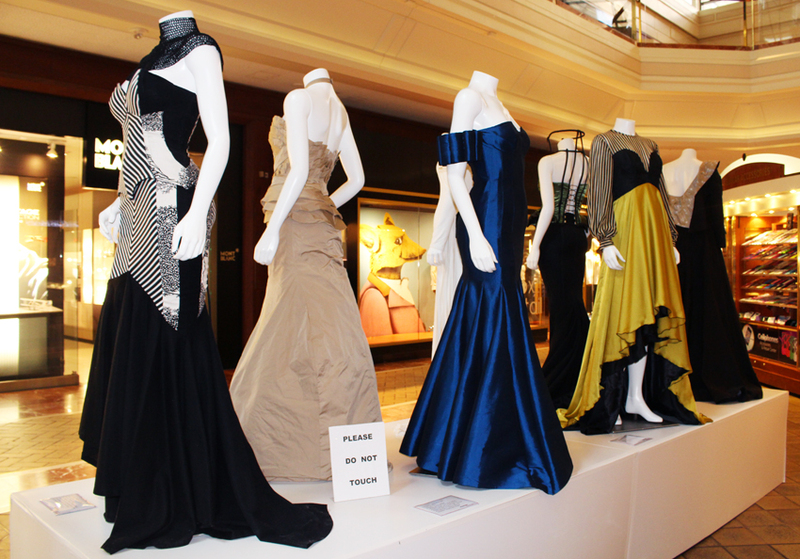 The wearable art pieces are flanked by other works, including these costumes and evening gowns by MassArt fashion students. The third set of garments on display includes many ready-to-wear items.